The Universe has a way of giving us little signals and whispers of wisdom. If we listen and are prepared to step out of our comfort zone, we can go places we never thought we would. A few months back, I found myself staring at a screen contemplating a family holiday in Bali. At that same time, Bali resident and artist friend (DouleneWalker) sent me a message. It wasn't long before a holiday in Bali become something much bigger and braver! It came about because of something I have been craving, well actually two things. A longing for community and a desire for a deeper more immersive creative experience. Over many cups of tea and chats on messenger, Doulene and I dreamed up 'We Are Artists', a retreat program unlike any other. We have created an experience that is truly transformative. We want you to feel more creative, more connected and more confident. Having the space to explore your creativity without the pressures of daily life. Receiving guidance and encouragement to strengthen your skills in abstract and mixed media art. Gathering inspiration and soaking up Bali's unique culture and landscape. Finding your tribe and making meaningful artistic connections. Setting intentions and building a strong foundation for a healthy and sustainable creative practice. Coming home inspired, with a new outlook and a deep feeling of contentment and gratitude. 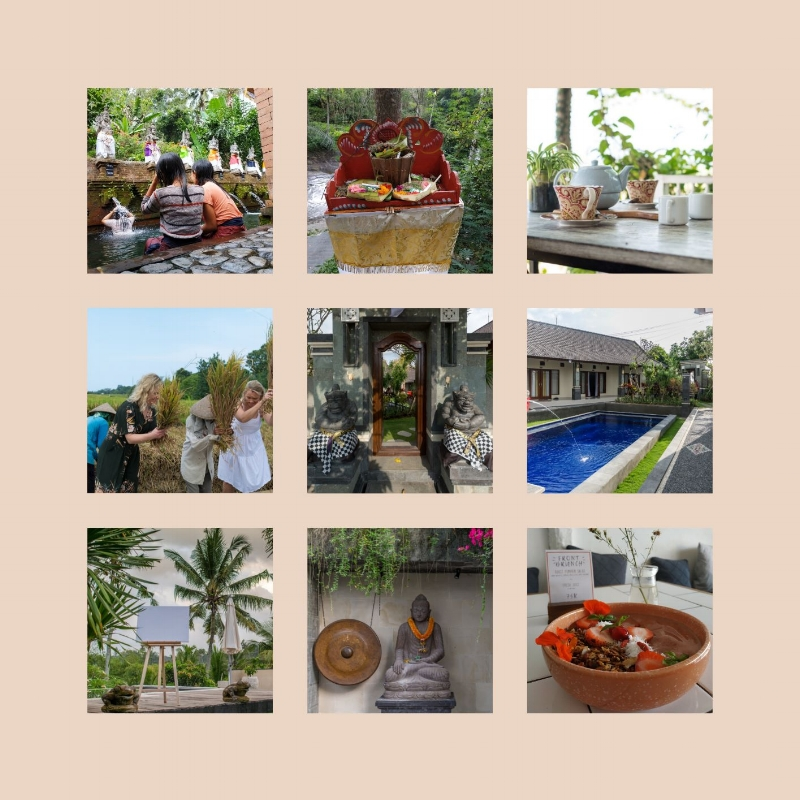 We Are Artists is a 7 night, 6 day program taking place in Desa Buwit, Tabanan, Bali from the 5 - 12 April 2019. Our retreat brochure has all the details and we are on hand at weareartistsretreat@gmail.com to answer all your questions. Capped at just 15 artists, this is an intimate opportunity to spend time together in a way that is just not possible online. There will be plenty of time to ask questions, share stories and learn a wide variety of techniques. We expect places to fill quickly and encourage you to book early to avoid disappointment. I can't tell you how excited I am for this, I would love to paint and explore with you in Bali!